~$2.6B - valuation of online-only bank Monzo, raising ~$130M led by Y Combinator. $2B - additional amount ride-hailing firm Grab plans to raise for its ongoing Series H; the round has already raised $4.5B from SoftBank, Hyundai, Microsoft, and others; Grab says some of the money will go toward investments and M&A deals. +$1B - Facebook plans to raise for its cryptocurrency project. $457M - Uber spent on self-driving and flying car tech last year, according to its IPO prospectus; the company’s Advanced Technology Group and Elevate unit accounted for about 1/3 of its overall R&D budget; Uber anticipates its expenses will “increase significantly in the foreseeable future” and warns it may never make a profit. $420M - raises Traveloka, an Indonesia-based online travel firm; the company has plans to move into activities booking, concert tickets, and more. 50+ number of European cities where dockless electric scooter company Bird plans to launch its scooter-sharing service this spring; will increase the company’s European fleet size more than x10; has raised $415M to date. $50/month - YouTube TV monthly subscription fee for all US customers as per April 10; a 25-43% increase, depending on current plan; Discovery will provide 50k on-demand titles and linear programming; launching HGTV, Food Network, TLC, and other networks. 2/3 hotel websites leak user data; a Symantec study analyzed 1.5k hotels in 54 countries; the leaking of reference codes could enable third parties to view reservations and customer details, and to cancel bookings. 76.6% — African e-commerce company Jumia closes up 75.6% on it first day of trading on the New York Stock Exchange; debuted at $14.50/share and rose to $25.46/share, giving the company a market cap of ~$3.9B; founded in 2012, Jumia operates in 14 African countries; claimed 4M active users at the end of last year. Uber files S-1 in preparation for a May debut on the New York Stock Exchange under symbol “UBER”; Uber reported $11.27B in revenue in 2018 compared to Lyft’s $2.1B. Uber is seeking a valuation of $90B to $100B. 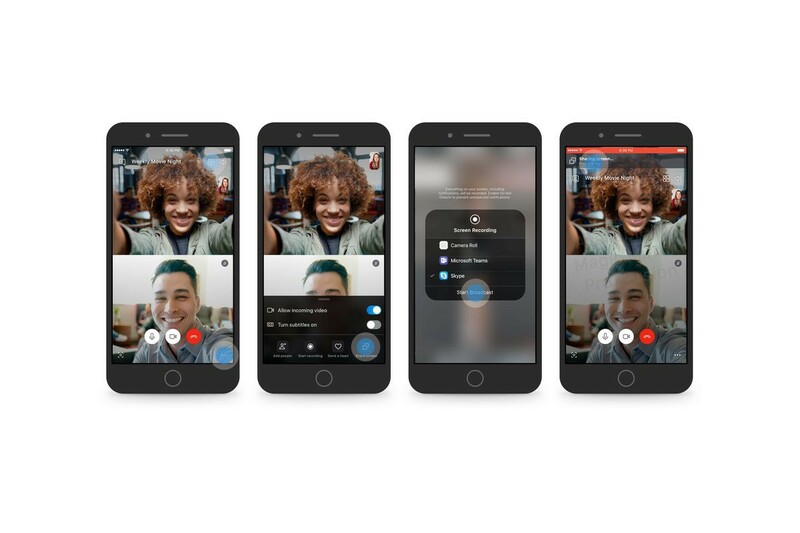 Skype begins testing screen sharing features for iOS and Android; lets users display their device screen during a video call; available now as a beta to those signed up to the Skype Insider program. Amazon acquires robotics startup Canvas Technology; Canvas is developing delivery robots including its Canvas Autonomous Cart which makes use of object avoidance tech; raised $15M to date. Amazon is using a team of thousands to transcribe and annotate Alexa requests; distributed across several countries (including US, India, and Romania), teams are tasked with interpreting voice requests; that data is then used to improve Alexa’s AI system; workers acknowledge listening to personal info and occasionally sharing content among themselves; Amazon says workers do not have access to personally identifiable data. Google announces native support for working with Microsoft Office files in Google Drive; users can view, edit, and collaborate on Word, Excel, and Powerpoint without first converting to Google formats; rolling out now. Google says all devices running Android 7 and up can now serve as a physical two-factor authentication security key; users logging into a G Suite or Google account via desktop Chrome can verify their session by connecting their Android device over Bluetooth. G Suite adds Google Assistant support for calendars; users can check and add events; G Suite is also adding integrations with third-party services such as Box and Workfront, and Hangouts Meet is adding live captions. Google introduces Anthos: an open, managed platform for running apps on-premise and in the cloud; now available for Google Cloud Platform, Google Kubernetes Engine, and GKE On-Prem. Also announced the beta launch of Cloud Run, a serverless compute platform that enables developers to build end-to-end applications without concern for the underlying infrastructure. Google introduces natural language processing services for ML Kit; the kit allows iOS and Android developers to support AI app integration with Firebase; Google’s language processing service, Smart Reply, has been used for Gmail, Hangouts Chat for G Suite, and Google Assistant. YouTube announces a new unit to develop interactive content and live specials; the company intends to make a show that lets viewers make choices that affect characters’ paths. Apple to break out Music, Podcasts, and Video apps in macOS 10.15; the move could eliminate the need for iTunes. Apple’s music outpaces Spotify among paid US subscribers; the service had 28M paid subscribers in Feb; Spotify had 26M. Netflix discontinues AirPlay support for iPhone, iPad, and iPod touch; the company cites “technical limitations”. Dropbox adds beta support for working with Google Docs, Sheets, and Slides; available to Dropbox Business customers, users can create and edit files via Dropbox’s website and its desktop apps. Samsung opened Galaxy Fold pre-orders in the US; starts at $2k, set to ship April 26; Samsung will make a limited number of devices available at launch. Disney’s streaming service will launch November 12 in the US and cost $7 per month or $70 per year; the company announced several exclusive shows; Disney suggests it may bundle Disney+ with ESPN and Hulu (of which it owns 60%). Disney+ content will be presented in 4K HDR; the service will allow offline viewing and will be available via mobile apps, Roku, PS4, more. 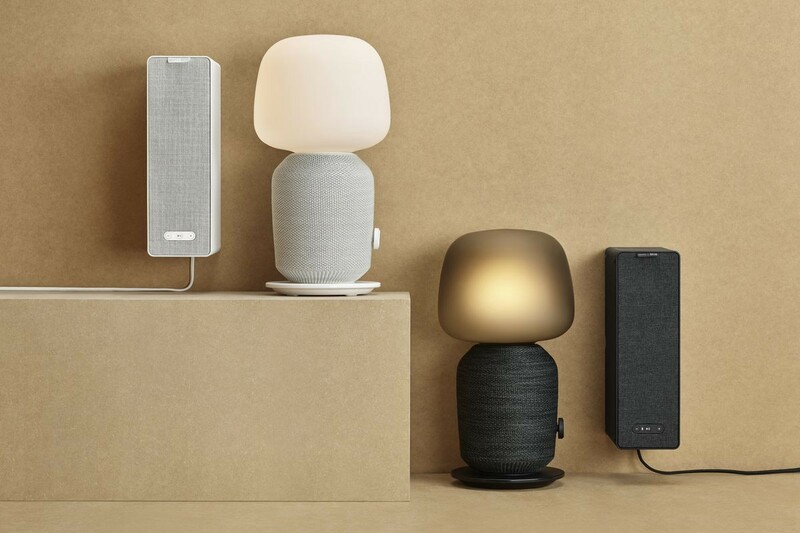 Ikea and Sonos announce two new speaker products; Symfonisk speaker/lamp ($180 ) and bookshelf speaker ($100) will both launch in August. North announces new features for its Focals smart glasses; includes Spotify controls, transit instructions, and an audio note-taking feature. EU expected to approve new copyright rules on Monday; would require online platforms to secure licensing agreements with musicians, publishers, and others before featuring their works; would require YouTube, Instagram, and others to employ filters that prevent the unauthorized upload of copyrighted material. The EU has also published new guidelines for ethical AI; AI systems should be accountable, explainable, and unbiased. Chinese regulators are considering a ban on cryptocurrency mining farms; new rules would place crypto mining on a list of wasteful or polluting practices. Lime has chosen Singapore for its Asia-Pacific HQ; set to open in Q3; Lime launched a pilot scooter-sharing service in Singapore last year. Hyundai partners with Tencent to develop vehicle entertainment tech, Kia (a division of Hyundai) is already working with Tencent on an in-car streaming music system. Accenture announces plan to acquire Parisian consulting firm Cirruseo, which specializes in Google Cloud; Accenture plans to expand its AI-centric offerings based on Cirruseo’s expertise; following the deal, Accenture would have 2.7k Google experts around the world. The algorithms behind text prediction. An interactive explainer of how a basic natural language processing model can work. IKEA’s original job-to-be-done is changing with time, and so are they. Ikea is testing furniture rentals and subscription-based models to fit into younger customer’s expectations (rental vs ownership). A small $44B pivot. How cognitive biases influence software development. I feel I am in a constant crusade again biases (often self), and so this is one of my favourite topics, as it affects even the very best product professionals. Good summary of frequent biases put together by the guys at Altassian. Counterintuitive competitive advantages. Sometimes, what seems a disadvantage can be actually be a key to success. Morgan Housel shares some examples ranging from nature to business. User-testing competitors? Yes. A useful way to find out what delights users or what is being done wrong. Caution with applying the lessons to your products though. Take it more as an exercise to better understand users’ needs and pains. 10 diagrams to help you think straight about UX research. Simple 2x2 thought-triggering diagrams to provide a simple way of looking at problems. The secrets to designing a curiosity-driven career. First Round shares an inspiring interview to Zainab Ghadiyali, Product Lead at Airbnb after raising up the engineering ranks at Facebook, and co-founder of Wogrammer. An unlikely path to Silicon Valley full of valuable lessons.